With the collapse of the mortgage-backed securities market that occurred several years ago, a new breed of bonds has been born (say that 5 times fast). As home ownership has dropped, single-family home rental has become much more common in an environment where lenders are continuing to hold the purse-strings tightly. That, coupled with the glut of foreclosed properties in the market, has led to investor-owned rental properties and the subsequent creation of bonds backed by the cash flow from rental payments. Lewis Ranieri, called by some the “godfather” of mortgage finance for his role in the pioneering of mortgage backed securities, has called them risk-free due to the constant cash flow which can pay the bonds. Over the last 3-years,more than $20 billion has been poured into purchasing foreclosed properties and turning them into single-family rentals. 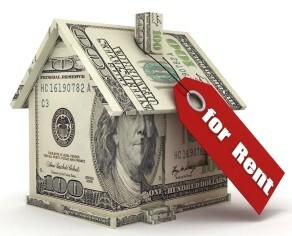 With the slow recovery of the mortgage-backed securities market, could rental bonds be a golden goose for a beleaguered market segment? The term risk-free was thrown about pretty liberally not too many years ago when talking about the real-estate market. That was proved to be quite inaccurate, much to the dismay of house-flippers everywhere. In no way are am I recommending this product, but there could be a place for such an investment inside a properly diversified portfolio. On the flip side this could also be another nasty bubble rising to the surface. Proper due-diligence is always necessary when dealing with such matters, by both investors and investment advisors. A lot can be said for discharging one’s fiduciary responsibility properly.